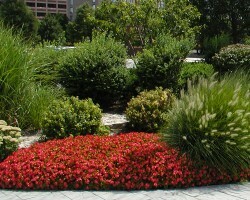 JC Green Services Inc. offers a variety of landscaping services to improve your home’s beauty. While providing exceptional quality and craftsmanship, we maintain the highest standards in the industry. We worked hard to earn our reputation for integrity, professionalism, and excellence. 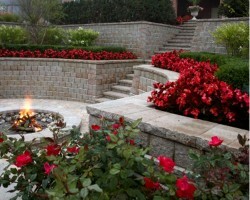 We offer expertise in the landscaping services of hardscape, softscape, and landscape architecture. Your home should be an oasis; let us build your dream. Hardscaping within the context of landscape is the built structures such as paved walkways, stone or brick patios, arbors, and even water fountains. Any inanimate objects used to landscape, especially woodwork or masonry, can be considered hardscape. Hardscapes can completely transform your outdoor world. From something as simple as a stone retaining wall to an entire patio with outdoor living space, only your imagination is the limit. Hardscape is the brick and mortar; come tell us your vision and we can make it come true! Read more about our hardscaping services. By definition, softscaping refers to the live elements of landscaping. This can include plants, bushes, shrubs, flowers, soil and grass. Softscaping can be both permanent and temporary. A great example of this would be trees and flower beds. While a willow tree is a permanent fixture, you can change out the flowers along your walkways or hanging baskets. Different colors and plants add character and texture to your outdoor space. We can assist you with design ideas or you can tell us your idea and we’ll execute it for you! Read more about our softscaping services. We pride ourselves on our design expertise as well as commitment to our clients’ satisfaction. Landscape architecture can be an incredible investment and add as much as 15 percent to the value of your home! Call JC Green Services Inc. today to schedule an appointment with our designers so we can build the outdoor living space of your dreams. Read more about our landscape architecture. The design process begins as soon as you contact us. Let us make your make your dreams a reality. At JC Green Services Inc., we pride ourselves on helping you achieve the best landscape design possible. Your satisfaction matters to us! Contact us today to schedule an appointment for a consultation to see how we can make your dream a reality!